Our global community receives access to online and live events, podcasts, webinars, products and services not available to the general public. Start-ups to Fortune 1000 companies make up our global community. Whether you are a one-person entrepreneur working in a coworking space or a 500+ member law firm, our membership fees are the same. Membership also grants you access to our annual events in New York City. 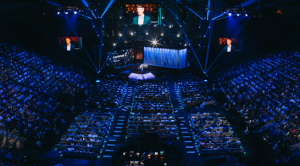 We also host quarterly live events at corporate sponsor headquarters, such as Google, Microsoft, Polycom and IBM, to name just a few. NYDLA services the needs of Pre-K through grade 12 education, higher education, home schooling, continuing education, corporate training, military and government training and telehealth. In addition, NYDLA is focused on global technology-based Distance Learning, “the cloud” and IoT (Internet of Things) in all aspects of today’s digital world. for your company or organization? 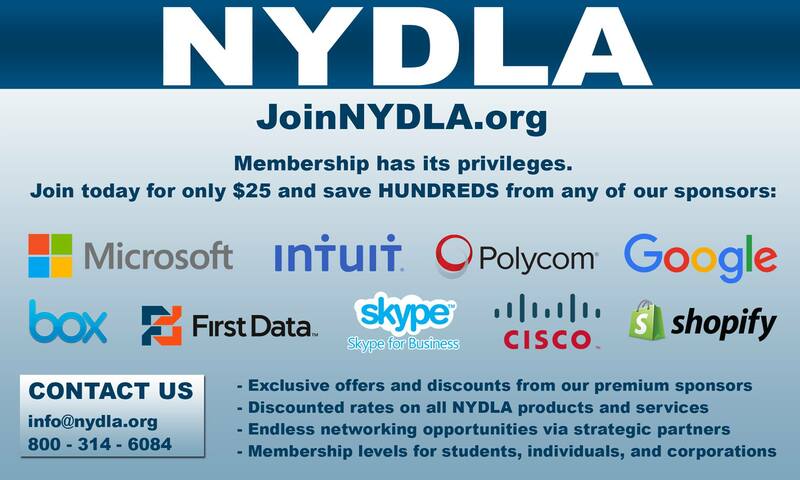 Join the NYDLA.org community today and “THRIVE” in the clouds!